March 3, 2015 by Josh Haynam	in Uncategorized. There are so many opportunities to make travel quizzes. Quizzes like “What country should you live in?” that saw more than 40 million hits on Buzzfeed can easily be adapted to any sort of travel company. Recently there have been more and more travel brands building quizzes using Interact, and I’ve picked five of my favorites that we can all learn from. Let’s dive in. The second largest hotel brand in the world used this quiz to simultaneously entertain and sell more rooms. 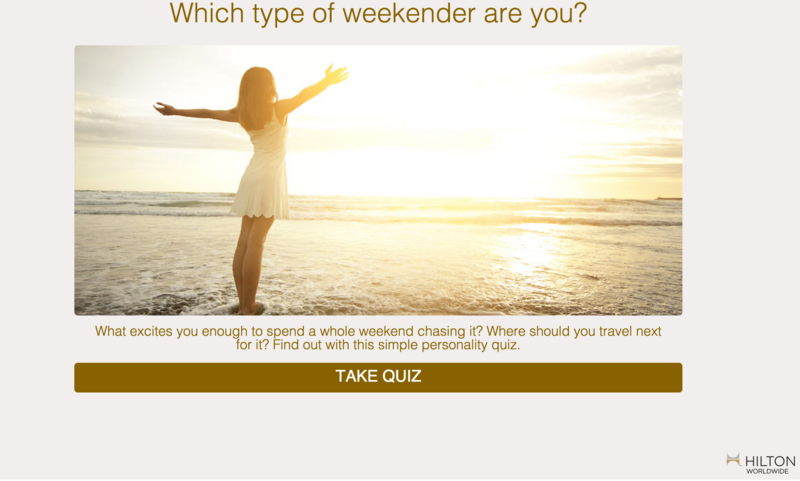 The quiz is set up just like any other personality quiz, but at the end of it there are links to check out various Hilton Hotels around the world based on what your quiz says about you. This quiz brought in 5,826 new email subscribers, using the Interact lead generation feature. This came on just 20,000 views for the quiz (well I say “just” because the conversion rate was 25% but that’s still a good amount of traffic). What I like about this quiz is that is uses a method I call “quiz-purposing” which means re-purposing your content into quizzes. 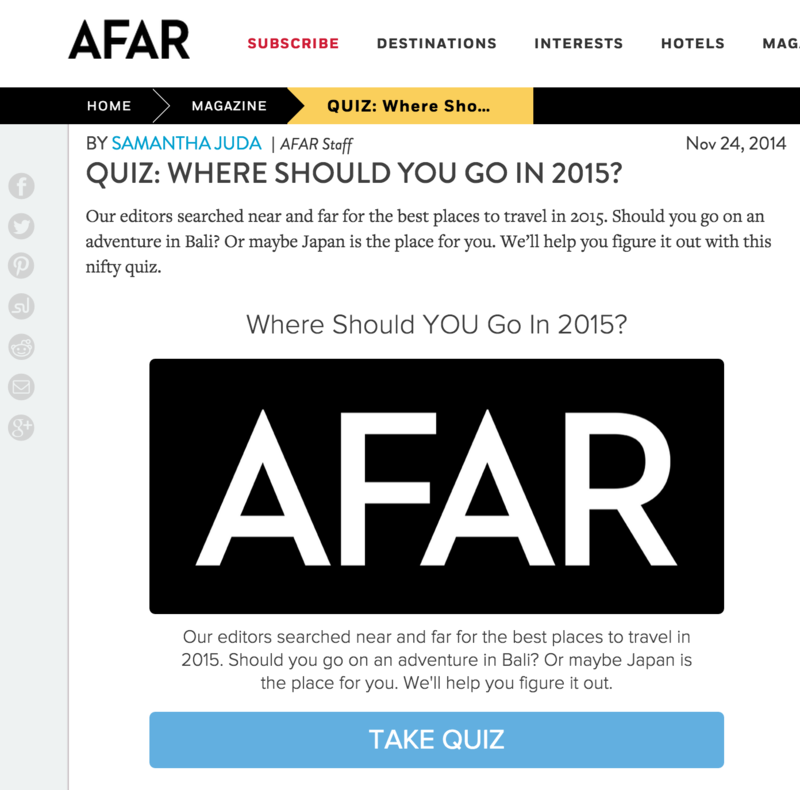 Afar started by identifying their top performing content (their travel guides) then they turned those posts into this quiz. Personal anecdote. I know what U.S News is – anyone who attended college in the U.S. know what U.S. News is, they produce THE definitive list on what the best colleges are. (I proudly attended #18 UCLA). When they reached out with a few questions about formulating and embedding their quiz, I was stoked. I was even more excited when it turned out they made an excellent quiz. It’s called “Which Spring Trip is Right for You?” and it is what is promised. The quiz asks you a series of personal but lighthearted questions like “Which drink do you prefer?” and then it tells you where to go in the spring. 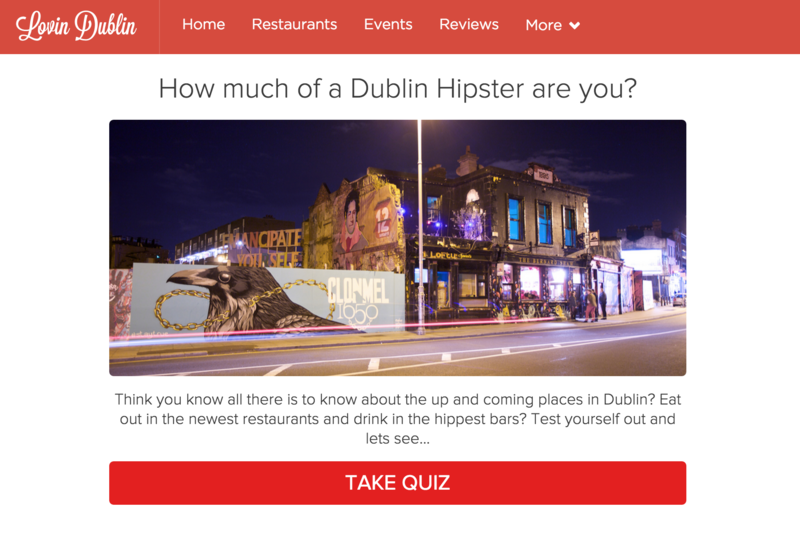 Specifically targeted at people who are aware of Dublin’s offerings and want to dive into the city, this quiz strikes a nerve with people who consider themselves familiar with the capital of Ireland. I think you have to live in or near Dublin to really understand this quiz, but that’s a good thing. You see quizzes that go after a specific subset of people tend to perform far better on average than ones that don’t have any bearing on who the target audience is. When you write about the same subject all the time, it can be difficult to spice things up. Such is the case for Visit Britain, the official website of the tourism office of Great Britain, they are tasked with coming up with fun ways to get people interested in coming to the United Kingdom. The quiz they created is interesting in that it could come off as offensive to Chinese people, but is actually targeted at people visiting Britain from China. 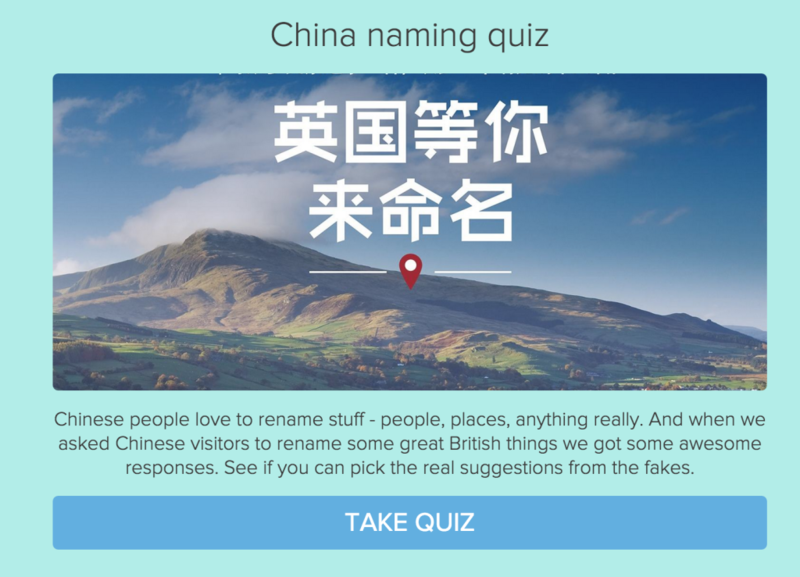 It’s a multiple choice quiz, asking people to see if they can identify what Chinese visitors have renamed famous landmarks in Britain. 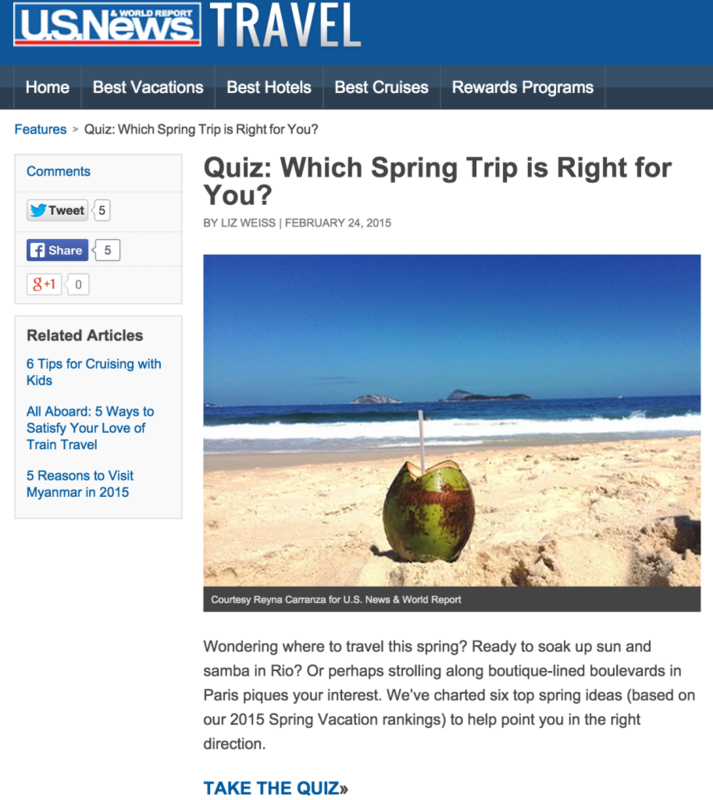 Travel sites have a huge opportunity when it comes to quizzing. There is so much to learn about different locations around the world, and quizzes are the perfect format for seeing how much people know about locales around the world. I encourage you to give it a try and see what kind of results you can get for your travel website.